Travelers of all ages love Ride the Ducks! 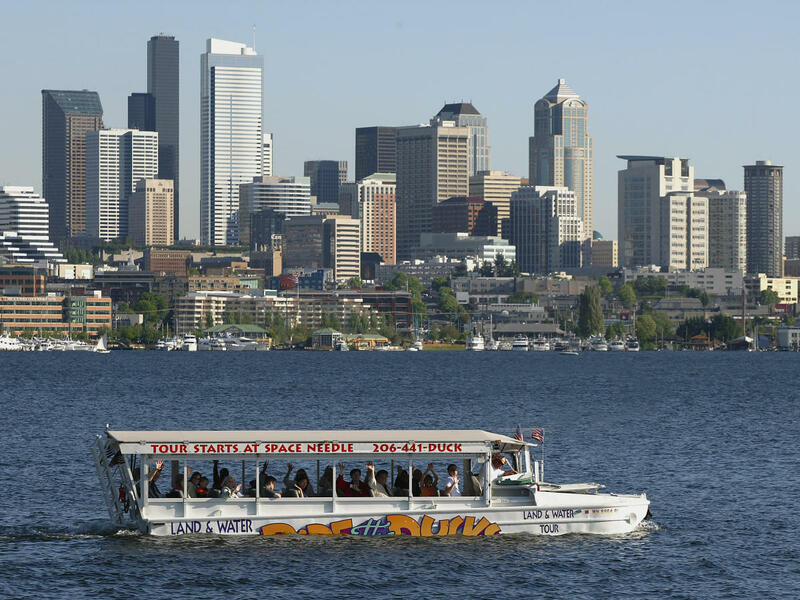 The hilarious Coast-Guard certified Maritime Captains will take you on a fun filled musical tour of the Emerald City. 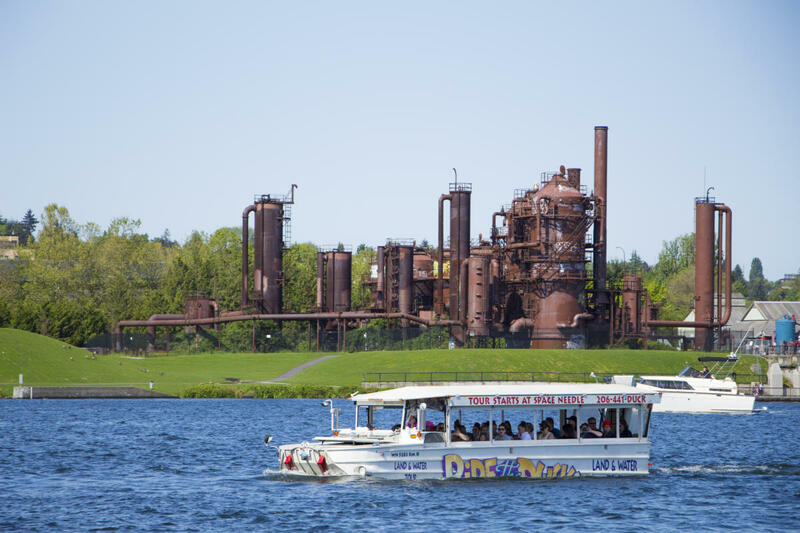 Amphibious World War II vehicles will show you Seattle from both land and water!